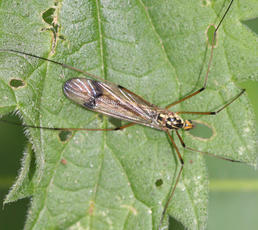 Another striking species of brightly coloured, black and yellow cranefly. 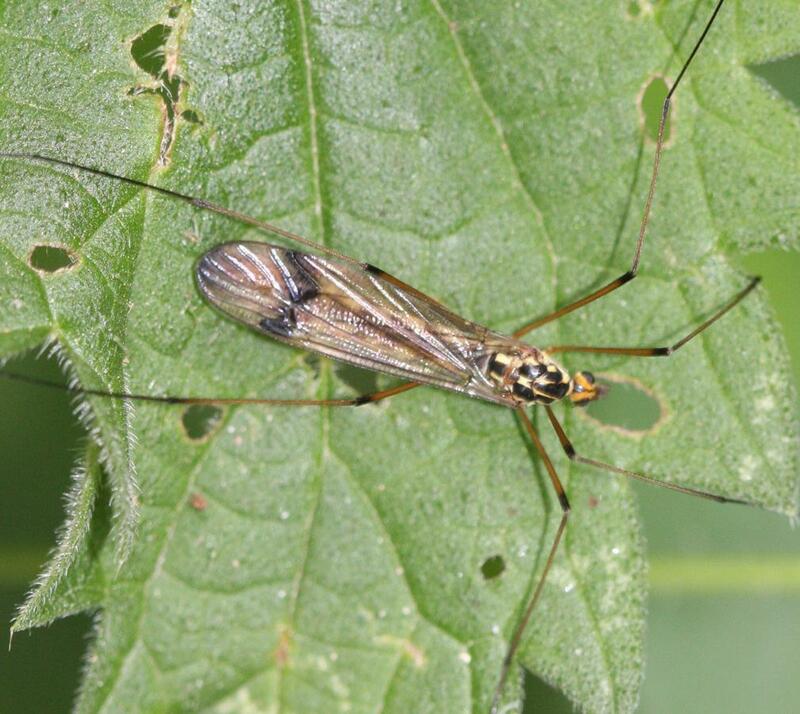 They are most often found in shady areas, usually in woodland. Adults are usually seen in shady parts of the garden, such as in shrubberies or under trees and often when they are mating. The larvae live in soil, feeding on plant roots but do not do much harm. Fairly frequent in Leicestershire and Rutland. The species has increased in numbers in VC55 since the 1980s.